I’ll never forget the day I realized just how huge the gap could be between expectation and reality, relative to marketing automation. I had recently taken a new job, after 13 years in sales and marketing for a fast-growth technology consulting start-up; a firm that specialized in CRM and marketing automation. My new organization was a contrast to my start-up experience in every way: they were global, highly-matrixed, and about 10 years behind the curve when it came to marketing technology. But this day was a huge day. The head of corporate marketing was dialing into our team meeting with a big announcement: The company had just signed a contract with a major marketing automation vendor, and would be embarking on a global roll-out. My initial reaction was of excitement: I would finally have access to a modern toolset to help grow my area of the business. But – having previously implemented marketing automation solutions in a much smaller business environment – I knew something about the effort required. I stepped up to the conference phone and asked our head of marketing: What resources was the company putting in place to help marketers like myself leverage this toolset? How would this be integrated to our CRM? And who would be dedicated to campaign logic and activation, and perhaps most importantly, content creation? Because marketing automation requires a lot of content. Not just for email, but for all the landing pages those emails link to, and for the thought leadership behind the landing pages, etc. 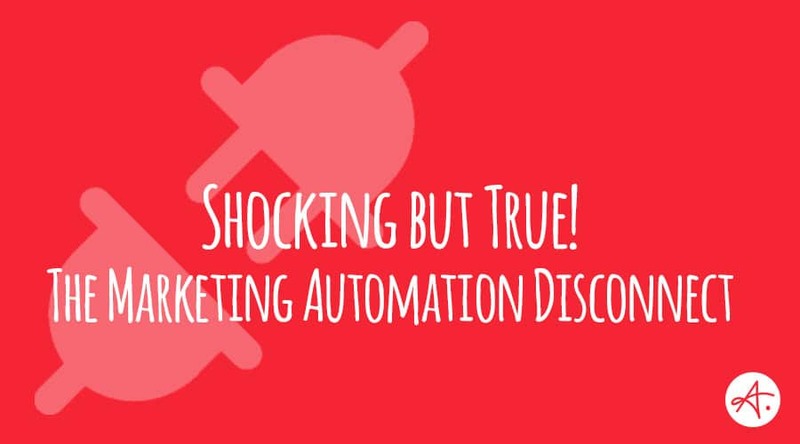 The answer I received from our head of marketing was shocking: “My understanding is that this tool will really automate those functions.” I knew then that I would never see the promise of marketing automation enabled during my time at that organization. While industry blogs and trade shows are filled with case studies of companies who have mastered many aspects of marketing automation and inbound demand generation through content marketing, there are still plenty of businesses – a shockingly large number – that have not yet embarked on the journey, or who are still struggling to connect expectation to reality in terms of investment and results. The story I shared above – though a fairly extreme example of misguided expectations – is really not all that uncommon. Marketing Automation solution vendors are exceptionally good at selling. It’s easy to get excited about what the technology can do, especially when you see powerful demos of the platform in action. But buyer beware: You will need a lot more than functional technology to power results. No matter how stunning the demo, or convincing the software sales rep, there is simply nothing automatic about marketing automation. My recent blog – The Hard Truth About Marketing Automation – spells out some of the lessons learned in my own adventures with marketing automation, and may be a helpful resource in setting realistic expectations and resource investments around your program. If you’re ready to move your demand generation programs forward, but aren’t sure how to start and scale, we’d love to help. Contact us to learn how we partner with you to help you succeed.